Beautiful, island dotted, long southern view of Lake Joseph. Very nice cottage on beautiful lake. The cottage is very clean and well organized. It has everything you need, just check in and relax. We enjoyed the canoe, kayaks, paddle board and swimming In the lake. It is close to many cute cities to meet all your needs. I would recommend this to anyone looking to get away and enjoy Muskoka. Great week making family memories. My wife and I (and our dog) spent a marvellous long weekend at Baypoint recently. We were looking for a quiet place to unwind and relax and we found it. The cottage is incredibly well-equipped and clean. Indoors it had everything to ensure we didn't have to think about anything (our goal). Outdoors we spent our time on the long dock eating breakfast, reading and taking advantage of the kayaks. Our dog even learned how to swim. I would highly recommend this for a romantic getaway, a family outing or with a few adult friends. The lake is perfect, the neighbours not too close and we're coming back as soon as we can. Thank you for the positive review Raymond. We look forward to having you back in the future. My family started enjoying the beauty of Muskoka in the summer of 1969. Every year since then we have rented a cottage and Baypoint offers a first class experience. 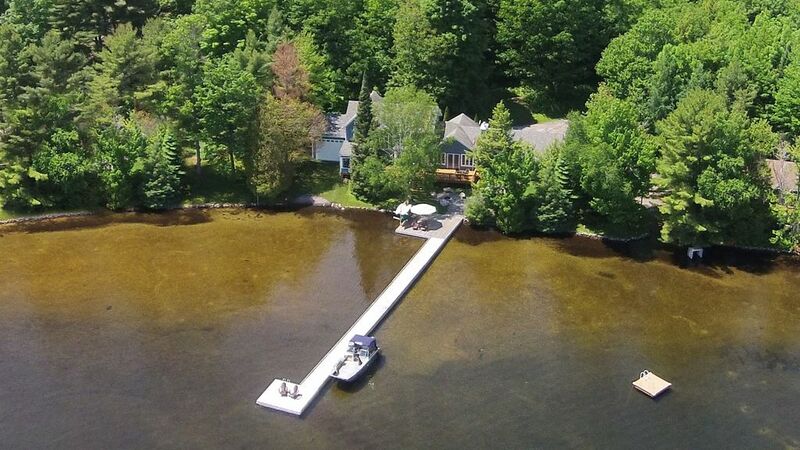 My father is 86 years old and having the cottage close to the water with little to no stairs for him to travel from cottage to dock is a luxury. The cottage itself offers all the amenities and pride of ownership is clearly evident. We just completed our annual fishing weekend which resulted in a boat full of small mouth bass and wonderful family memories. If you simply want to read on the dock, swim, canoe, fish and lower your blood pressure......Baypoint is the place to go. Treating the cottage with respect ensures an invite back the next year. Thanks to the owners for years of enjoyment!! We stayed in this beautiful home for 3 nights and had a wonderful time. The pictures do not do any justice as the actual place is much nicer.The place is super clean and located in a beautiful location. We had a wonderful time and cannot wait to come back. Thank you David for letting us stay in your fabulous home ! My wife and I had the extreme privilege of taking my in-laws to this outstanding lake home for a week in August. Not knowing what to expect prior to arriving, this beautiful home on the water exceeded all of our expectations. Every detail was well thought out and prepared for right down to the scrubbing pads for the BBQ. The kitchen was very well stocked with all of the latest utensils and appliances. The entire home was very well decorated and cared for leaving us wanted nothing more. This was a luxury home on a beautiful piece of property facing the lake with outstanding views. We will definitely be re-booking for the new year!! Thank you very much David and family. It was an extreme pleasure and can't wait to get back there! We would certainly recommend staying here to anyone seeking an awesome relaxing vacation getaway! My wife and I decided to get away and came across this option. I am glad we did. Baypoint has WOW factor. It is fully stocked, extremely clean and prefect for those looking for northern luxury.